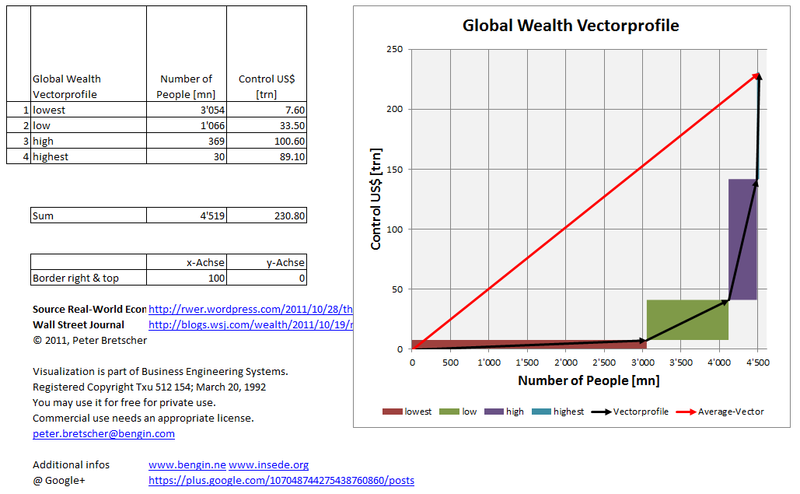 Vector profile brings this numbers to a whole picture of distribution of wealth. y-axis shows how much of US$ they control. Red vector is the sum of all four clusters. Its inclination is the average wealth per person. Exposition below is an interactive ExcelWebApp from "SkyDrive" of Microsoft. You may change the data in your browser - graphic will change too. This ExcelWebApp actually has some limitations - missing vector arrow for example.